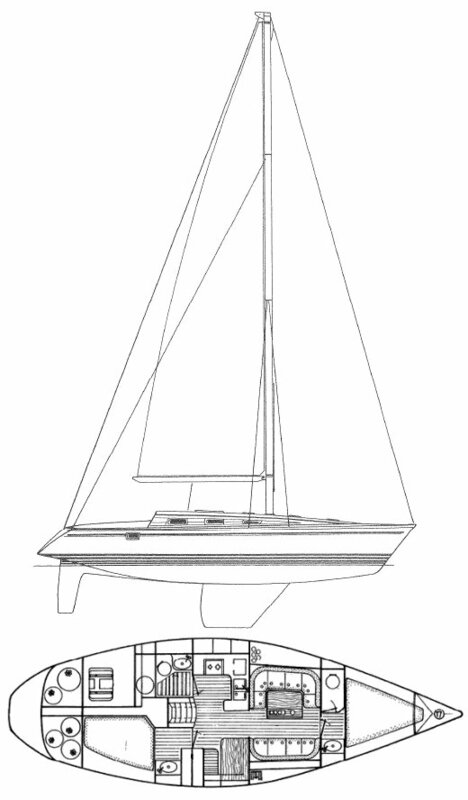 Based on 'Legende', Jeanneau custom, 1 ton prototype. Disp. : 17416 lbs. Bal. :	7054 lbs. 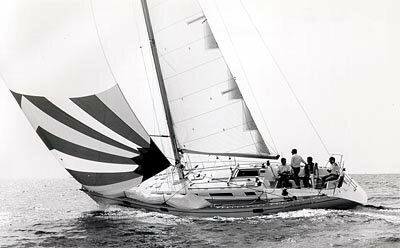 Racing version has lead keel. 'Owner’s' version has 3 cabins and 2 heads. 'Team' has 4 cabins and 1 head. The OLYMPIC SEA 42, built in Greece, is similar. Thanks to Jack Bush, for providing corrections for this model.